After the numerous controversies, the publicized marriage between Nollywood actress Caroline Danjuma and her billionaire husband, Musa Danjuma has reportedly crashed. 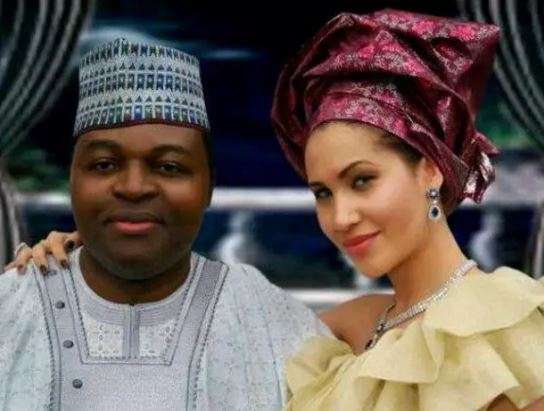 According to the latest reports trending, divorce proceedings have started between Caroline Danjuma and her billionaire husband as they look to end their ten year old marriage. According to the source who spoke to Stella Dimokokorkus, Caroline Danjuma has become tired of going back and forth on her husband’s many reported concubines. Meanwhile Musa Danjuma’s side chick Maya is reportedly pregnant with the billionaire’s child. Stella Dimokokorkus writes that Maya has been boasting that whenever Caroline Danjuma is not in town she sleeps on her matrimonial bed, and enjoys all her other benefits. Maya is reportedly waiting for the divorce to be finalized so that she can move into the Danjuma residence. Meanwhile Caroline Danjuma is said to be focused on her business and kids. “Caroline is over the shock and has moved on and is concentrating on her kids and her business. She has realised that it is of no use fighting over a man and she is the wiser for it” the source tells the blogger.